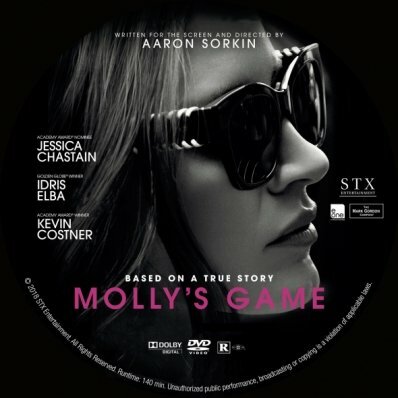 Based on the true story of Olympic-class skier, Molly Bloom, who ran the world’s most exclusive high-stakes poker game for a decade before being arrested in the middle of the night by 17 FBI agents wielding automatic weapons. Her players included Hollywood royalty, sports stars, business titans and finally, unbeknownst to her, the Russian mob. Her only ally was her criminal defense lawyer Charlie Jaffey, who learned that there was much more to Molly than the tabloids led us to believe. Talk about one intense film led by an incredible actress, Jessica Chastain. I was completely involved with this story right from the get go. The idea that, even though Molly is an incredibly smart woman, decided that this was the direction she decided to go, and succeed at, for a career choice was unbelievable. At the same time was able to get so many High Rollers to take part in it and at the same time dealing with all the drama that came along with it. For me, this was a very exciting and thrilling film, that Aaron Sorkin should be proud of. Especially since it’s his directorial debut. Mix that direction with the awesome chemistry of Jessica and Idris Alba on screen, this one is a winner and most definitely A Must See Movie.